The Month of May is dedicated to Mental Health Awareness. The month is devoted to raising awareness of mental health through advocacy, educating individuals in the habits and behaviors that can potentially lead to mental illnesses, reducing the stigma of mental health, providing support, and teaching strategies to increase mental health. One in five adults experience a mental health condition in their lifetime, which entails about 7 percent or 16 million of the U.S. adult population. Furthermore, the prevalence rate among adolescents is almost 20 percent for females and 7 percent for males (National Institute of Mental Health [NIMH], 2018). According to the Anxiety and Depression Association of America, about 18 percent of the adult population has been diagnosed with an anxiety disorder, which indicates anxiety as the most commonly occurring mental illness in the country. Additionally, over 20 million adults suffer from a substance-abuse disorder (National Alliance of Mental Illness [NAMI], 2015). These are alarming statistics the public should be aware of. Mental health is vital for our successful daily functioning, and it is something we should not ignore or take for granted. Daily stressors, responsibilities, general woes, and lack of sleep can negatively impact our mental health. Constant stressors at our everyday settings, such as school, work, or home, can make us feel like we can never catch our breath. These constant overwhelming variables can create further problems, including difficulty dealing with anxiety, abuse of drugs and alcohol, or depression. Because of the magnitude of the negative consequences, it is fundamental to not minimize the importance taking care of our mental health. According to Dr. Mercado and colleagues as published in Current Psychiatric Reviews Journal, Latino Americans are less likely to receive mental health services compared to other ethnic and racial groups due to issues with accessibility, availability, appropriateness, and acceptability. One of the most common barrier to mental health treatment for Latino Americans is the lack of knowledge and awareness of available services, as well as how to find and access them. Additionally, Latino Americans may not know what to expect from treatment. Unfamiliarity with mental health services can discourage or prevent the accessing of services. The U.S. Department of Health and Human Services has reported stigma as the most threatening barrier to mental health treatment. The stigma associated with mental illness is a factor that prevents seeking treatment in culturally diverse populations. Stigma connected to mental health can be broken down into two components: social stigma and perceived stigma. Social stigma is when attitudes and discriminating behaviors arise and are directed towards individuals with mental health disorders due to the label given to the individual through the implementation of services. Perceived stigma is the aftermath of social stigma, such as when the individual internalizes all their own perceptions of discrimination often caused by the stigma received from other individuals (Davey, 2013). Both components are seen in Latino populations. 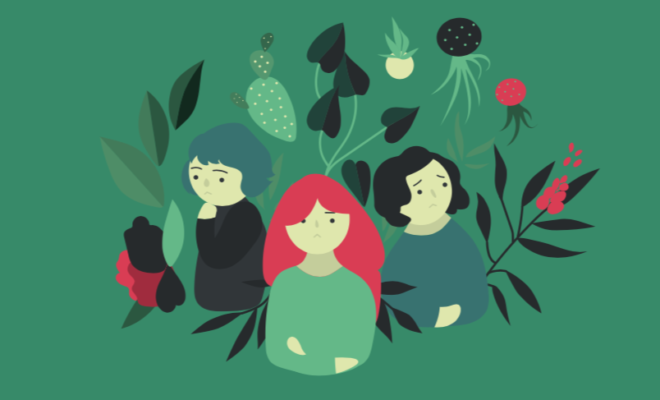 It was reported early in this decade that only two in every 10 Latinos with mental health problems seek medical help and only one in every 10 Latinos seeks mental health services (NAMI, 2001). It is imperative to increase community outreach that targets increasing knowledge and awareness of mental illness in Latino communities, as this would facilitate treatment initiation and utilization. Although it has been implicitly established as taboo in most cultures, it is important to talk about mental illness and/or suicide. For example, actively helping a friend or relative in need and encouraging them to get help is critical. Recognizing signs of mental health problems and encouraging individuals to get help. Expressing your concerns and offering help. Being an active listener by asking questions and being receptive when your loved one talks about mental illness or suicide. Establishing a line of trust is important. Educating others on facts about mental illness and treating people with respect, compassion, and empathy. If you or someone you know is struggling with a mental health problem, we encourage you to seek professional help from the resources below — some of which are free. Mental health symptoms are medical symptoms. Treatment is available and people do get better. If you or anyone is in immediate danger, call 9-1-1.